You must be over 18 years of age to purchase Vaporizers and Eliquids. 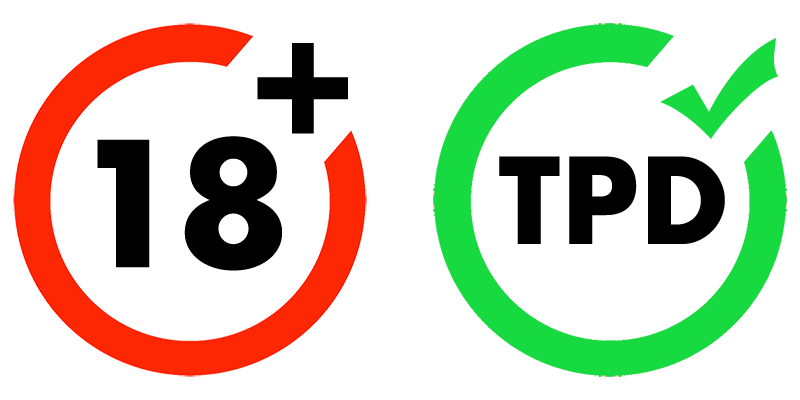 By entering this website, you certify that you are of appropriate age. Replacement coils for the new TFV12 Baby Prince Tank. Now available in MESH, STRIP and light up LED specifications. Providing quick and easy compatibility between the two tanks, the TFV8 Baby Beast Coil Family is one of the most fascinating developments from SMOK. With the TFV12 Baby Prince Tank being the upgraded version of the popular TFV8 Baby Beast Tank, SMOK have manufactured and utilized a new range of Baby Prince coils. 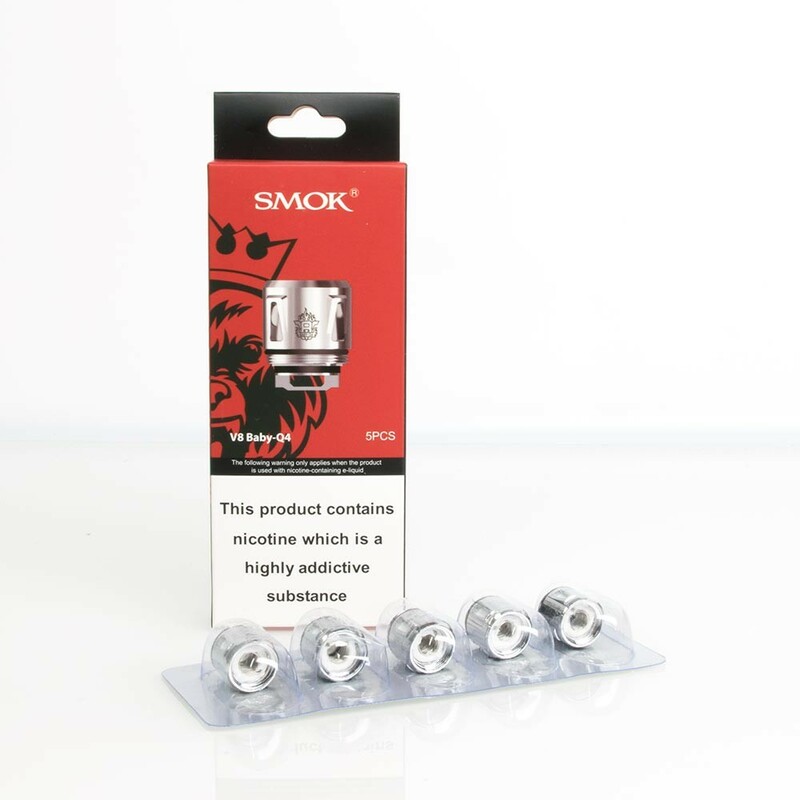 With improved and upgraded designs, these coils deliver greater performance. 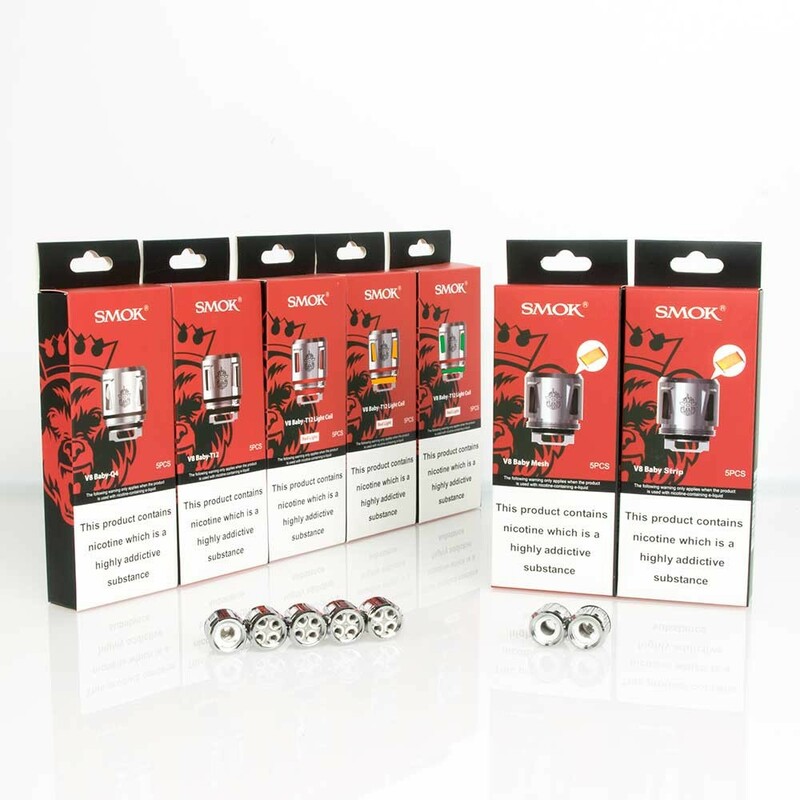 SMOK really have brought the TFV12 Prince back to life with these Baby Prince Replacement coils. 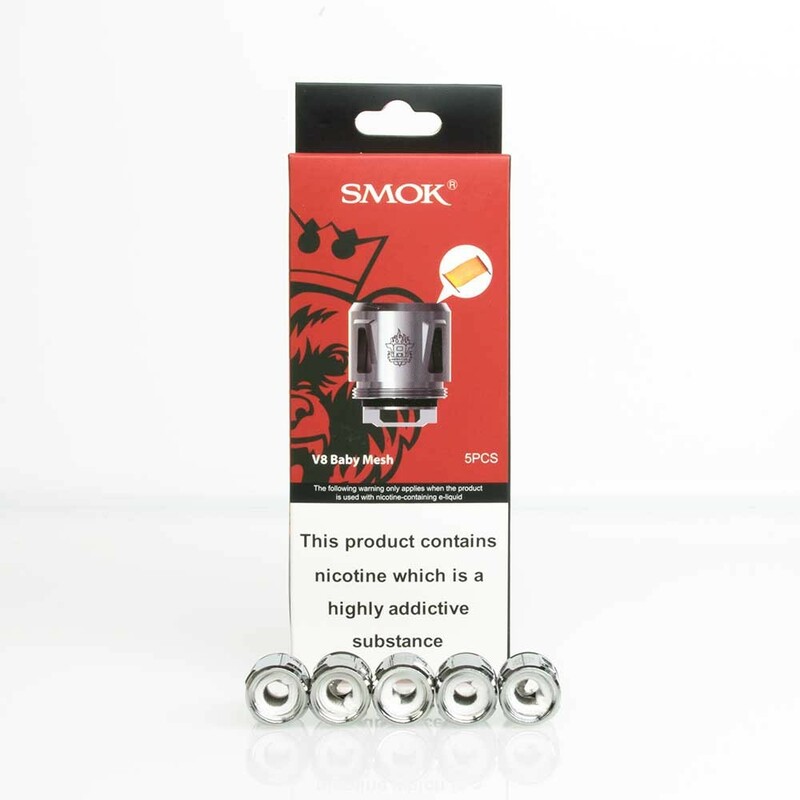 This new innovation from SMOK brings with it three new specifications, available in strip, mesh and LED light up. 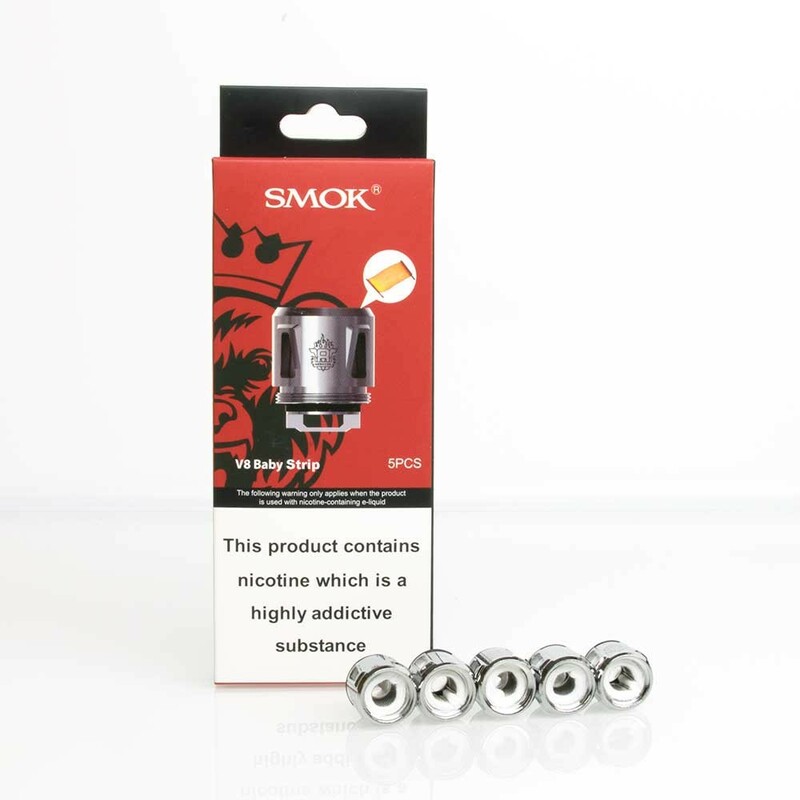 SMOK have revolutionised the vaping world with the SMOK Mesh 0.15ohm Coil, with mesh inside which effectively enlarges the heating area with in the coil, providing huge vapour production and a quick heat heating process, SMOK recommend 40-80 wattage or 70-to wattage to flavour and volume. The SMOK TFV12 Baby Prince is the upgraded version of the hugely popular TFV8 baby beast tank! and brings with it 4 new coil specifications, the V8 baby-Q4 ,V8 baby-T12 (available in LED versions) V8 Baby Strip coil and V8 Baby Mesh coil. The Baby Prince is also compatible with all existing baby beast coils (Q2, X4, T6, T8, M2, Baby RBA). The new coils can produce denser clouds and purer flavour at the same wattages, which is an awesome improvement, the T12 light coil will emit beautiful light when you are vaping and the mesh/strip coil has larger heating area to speed the coil heating process. Every detail of the TFV12 Baby Prince is a guarantee for high-quality vaping. Change the habit of a lifetime..
©Copyright Ace Vapes Ltd. All Rights Reserved. 10187364.